Didsbury and the surrounding areas of Withington, Heaton Moor, Fallowfield and Chorlton. Including the surrounding areas of South Manchester – Gatley, Cheadle and Stockport. It seems that the ICT LEA offices in Doncaster and Swinton (Manchester) have been hit by some sort of malware infection. It’s not altogether clear where this came from but the feeling is the rogue software was introduced into the network by an infected pen-drive. 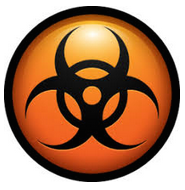 Malware has corrupted my photos of my young children, a handful of photos remain but the rest just have an orange icon. There is a page asking me to access a tor page to pay the ransom, I haven’t done anything about it, just turning the laptop on occasionally and hoping it’s gone away!!! It happened about 3-4 years ago and hasn’t gone away! I’ve had my external hard drive (Toshiba 500gb) for a month and yesterday it ceased to power up. This was at the same time that I got a warning message telling me that my computer hard disk had been infected with a malware virus. The blue light is not flashing and there’s no sound coming from it. Yesterday it ejected itself from my computer and did not work anymore. I’ve tried plugging it in to different computers and cables. What I’m really concerned about is the data on it, but if it possible to recover the hard drive itself as well that would be great. I recently got a form of malware on my computer and i disinfected it using a malware cleaning tool from off the internet. After the program had run it told me to reboot my computer. I did this but not the laptop doesn’t make it past the start up screen, I took it to a local laptop repair guy who said the laptop needed to be re built. He managed to remove the hard drive to keep holiday photos and videos which I wanted that were on there. Malware can be a real annoyance and sometimes it can unfortunately ruin the data on your hard drive. A useful article about how to detect and remove malware can be read at http://www.techradar.com/news/the-best-free-malware-removal-tools. I have deleted by mistake all my files from my hd external seagate and I would like to know how much do you charge to recover everything back. I have a WD MY PASSPORT ULTRA HD 3 TB for around a year and half and suddenly 2 days ago none of my 2 computers can’t seem to access it. The HD shows on disk utility but I’m not able to access it.I have around 500 gb of personal data in there that I would like to recover. I have tried all the methods that I could find online but none have worked so far. As far as I know the HD has never been dropped or tossed. My external hard drive has a mechanical fault and is doing that clicking sound. I have a lot of data on it, but the most important thing to me is about 2 years (~40gb) worth of photos. I have a WD ‘My Passport’ external hard drive which unfortunately has broken (not recognised as a drive by any computer) and I stupidly have not backed up the data. When I have taken it to Curry’s PC World and a local computer shop they have said my data is unrecoverable by them but suggested some specific data recovery services may be able to do it, but it is a big maybe. I unfortunately have no clue as to the amount of data on it. 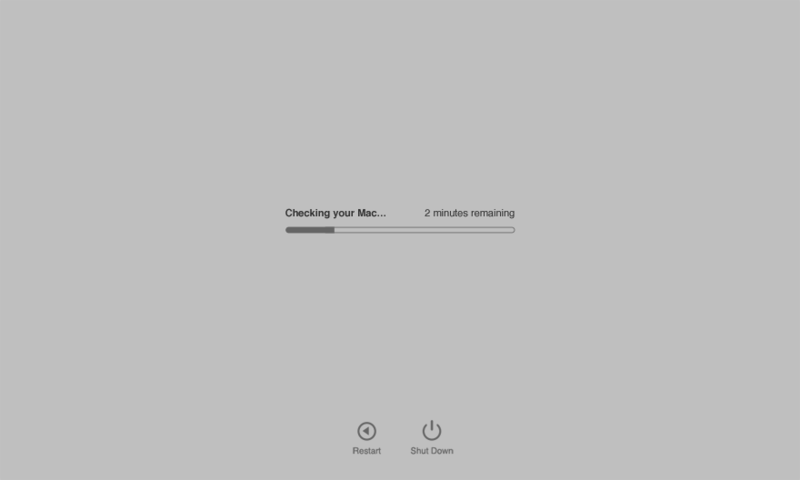 Macbook Air 11″ early 2014 a1465 SSD fault. SSD installed is a Toshiba 128gb. Mac won’t boot from the ssd but will once removed. Recent update to High Sierra could have disabled or broken the SSD. Only 10GB of Photos needs to be recovered. What might this cost to recover if the failure is with the ssd hardware. So we can’t help with toasters but we can help with the above enquiries…. Speak soon! 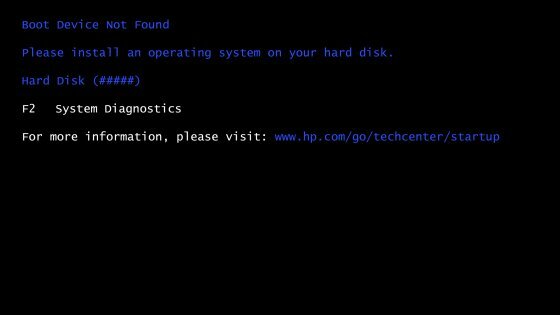 This post is about the ‘Boot Device Not Found‘ error message on HP Pavilion computers. NB: This error message is to do with the computer’s hard drive and I advise you to contact your local support team if you have this problem. Please install an operating system on your hard disk. Is this something you would be able to repair as I have photos of my son on there that aren’t backed up. I have a Western Digital 2TB My Passport External Hard Drive with aprox. 1.2TB of data on. 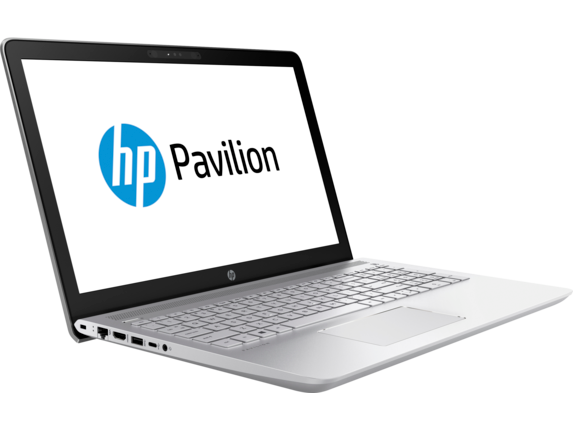 When connected to my HP Pavilion PC it makes a clicking sound for a few seconds and isn’t recognised by my laptop anymore, so I’m sure it’s a mechanical fault. I get a message like “boot device not found” or similar. I can supply a 2nd hd to place any recovered files onto. External hard drive taking ages to open and then data does not appear in the files. Most of data is camcorder footage. 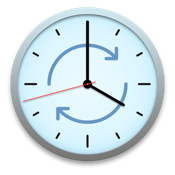 How long does it take to retrieve the data? My HP laptop recently stopped working. I took it to a local computer shop, who advised that there was a mechanical fault on the hard drive. I am interested in recovering the data held on the hard drive. Are you able to assist? I was wondering if you would be able to help my mum has deleted her photos and videos by accident from her Pavilion laptop would you’s be able to get them back for her and if you can how much is the cost for this please. My wifes 6 year old HP Pavilion computer which she kept using against my advice (the first one!) has developed an error where it can’t find the boot device. It finally stopped working completely / won’t charge or switch on. The phone has family photos and videos on it that weren’t backed up (as connecting drive via USB stopped working a while back). Just wondering what the chances are you can retrieve the video files and photos and how much the cost would be, also where you are based / how we would get the device to you. Seagate expansion, Dropped it. It is read by laptop but cant see it appearing in my computer. Does not any weird noise. Light comes on, drive just keeps clicking then stops spinning. WD My passport 1TB. I have a Seagate 2TB external hard drive (2.5″) that started beeping whilst plugged into my MacBook and then stopped working altogether. I’m looking for some idea of cost to retrieve data. I’m arriving in the UK on Friday and will be staying close to Sheffield. My hard drive fell and is not regonised by the disk manager. I took it to three different data recovery shops, they all said the hard drive is dead. Is there a possibilty to get the data out of it somehow? MacBook at white screen, spinning timer, won’t boot up. Won’t start in safe mode or single user mode. Hard drive powers up but badly damaged and not able to recover data for a customer would this be something you could possibly do. I have a WD My Passport external hard drive which I have probably incorrectly ejected over the years. Now when I plug it in it doesn’t let me open it or even show up on my laptop. I’ve also noticed it now makes some clicking noises. I have many old photos and an iPhoto library on this hard drive which I’m desperate to recover! How much do you think this will cost? Do you service and recover external hard drives that have crashed? If yes, what is the cost? Is there a collection / drop off service? I am based in Cambridge. My hard drive crashed when I was in Australia while I was travelling. I think during baggage handling. Insurance wouldn’t cover it. I sent it to an Australian recovery company, ‘Ontrack Data Recovery‘. After a few weeks I received an email “Following the initial inspection, the clean room engineer has ascertained that your hard drive is suffering an internal mechanical failure, which is a failure of one or more of the internal components crucial to the drives operation and physical media damage”… They couldn’t recover it. I couldn’t give up hope, I since moved to England and thought I’d try again while I’m here. Look forward to hearing from you. I’m attempting to fix a Seagate Maxtor M3 External 2TB Drive, reg. Model: SDC003. The read/write heads have been damaged most likely due to a fall and I’m looking for a compatible replacement arm to switch out and was hoping that you could supply me with one if possible. It stops working apprently with no reason and I can’t find it on my pc anymore. I am looking for a quote on data recovery from an external harddrive. It is SAMSUNG model that will show up in ‘safely remove hardware‘ in the right hand corner but will not show up in explorer in order to access files. The external hard drive won’t work when plugged into computer. I have tried the original cable and bought a new cable and neither worked with the product. Knocked my hard drive whilst accessing files. Didn’t recognise damage immediately and continued using hard drive for a few more hours. After that, the hard drive connects to my Mac, but cannot be mounted. I have LG USB portable hard drive 500GB (Prod# XPRESS XD7 USB 3.0). The problem is that the power comes in and goes out. When it comes in, I can see the folders on window. When I click the folder, it is gone out. What kind of symptoms? I hope it’s not a difficult problem to solve. Please tell me how to fix it. I have a Western Digital Passport Ultra for my MacBook Pro and Mac. I believe the WD Passport Drive may have suffered a blow, because it’s occasionally chirping now. I can still mount the hard drive to both the desktop Mac and the MacBook Pro, but when I try to copy the files from the Passport Ultra to another external hard drive (in an effort to “recover’ the data), I’m getting all sorts of error messages. I also tried ChronoSync Express and was able to copy over only about 25GB of the total 250+GB of data on the drive. Can you please let me know what the estimated cost of recovery might be? My Laptop just switched off yesterday and no power is getting to the laptop (ASUS x550L) whatsoever- the laptop seems to be dead- no LED, no charge from battery or AC adapter, blank screen. There are files and files of music I have written still left on the laptop which is important to me, but more importantly I have an essay on that laptop that I need back before Friday. Someone recommended you guys and said you were good value and did it quickly so here I am. I am just looking for all my files to be accessible in the very short term, and will deal with the laptop another time. two beeps x 13 with a short spin up before each set of beeps. not displayed as file/folder/drive in my computer. Has data i need recovered. I formatted an external hard drive accidentally a while ago, looking to see if you can recover all the files that were on it, mainly it is photos and videos. I’m looking for HDD-recovery store as I have a problem with my external hard drive. I have an external hard drive HDPS-U500(K)(IODATA), the inside HDD is HM500JI 500GB (SAMSUNG). The HDD suddenly became undetectable by computer and slightly ticking noise. I can take it to your London office (EC3 is more convenient for me). Could you give me a price quote for the data recovery? how long will it take to recovery? How can I receive the recovery data?